Having procrastinated for far too many years about finally replacing the old family honky-tonk, I met Ben in April 2018 with the intention of buying a decent used Yamaha U3 or similar. As a piano teacher based in Newbury, I was aware for many years that Ben was a piano dealer local to me, but I had never visited him before. At the time Ben also showed me his full range of new upright pianos, but I still couldn’t decide. Over the next nine months I visited four other piano dealers nearby because I wanted to be absolutely certain I was making the right choice for me. I almost bought a used Kawai baby grand from another dealer, but I missed out to another buyer by only a few days. The difference with Ben is that he kept in touch, followed up at each stage, and was genuinely interested in helping me find the perfect piano. Surprisingly, none of the other dealers seemed that bothered! Ben and Michelle were patient and understanding on each of several visits I made to the showroom. In the end, I took the plunge and chose a brand new Kawai GL-10 baby grand. For me it was a case of coming to my own conclusions and being happy to enjoy the buying process; definitely not being “sold-to”. To cap it all, Tobi was great and did a fantastic job with the delivery. 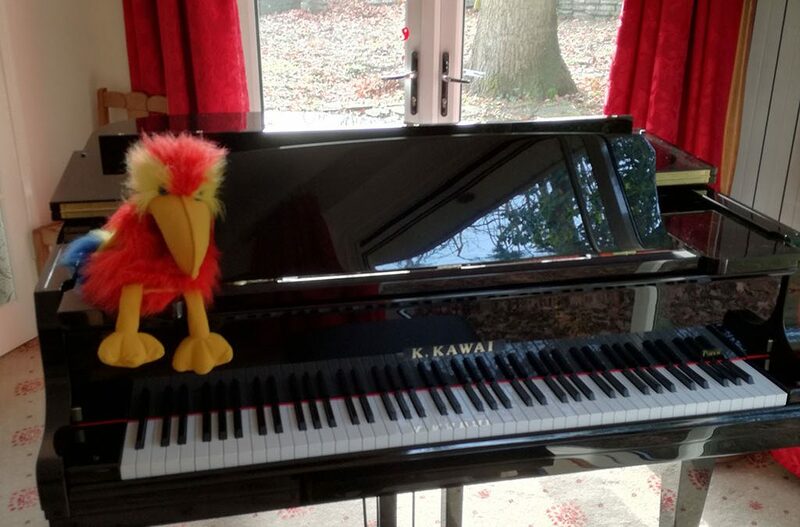 I am now pleased as punch with my lovely new Kawai, and my students are obviously enjoying it too. Thank you Ben, the music plays on and has never sounded better.